Everything changes with a polished nickel bathroom faucet. 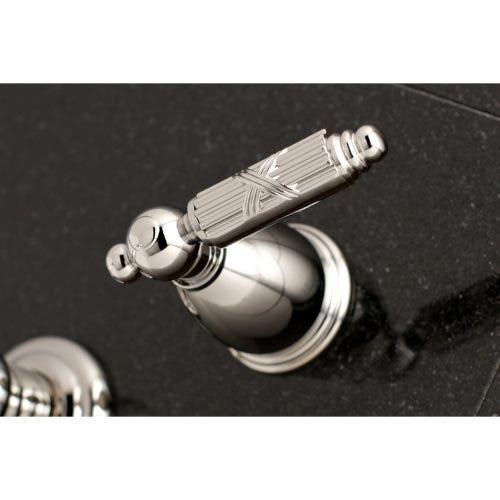 The Georgian 8-Inch Center Wall Mount Bathroom Faucet in Polished Nickel will serve as the centerpiece of your bathroom and automatically enhance your bathroom’s decor. Its polished nickel finish evokes a sense of elegance, while its wall mount feature makes a bold statement. A wall mount bathroom faucet would suggest a lot about you to your visitors. It says you have superb taste and an exceptional sense of style. It says you’re not afraid to step out of the well-worn beaten path. This polished nickel bathroom faucet would indicate you’re not afraid of enjoying the finer things in life. Additionally, you believe that luxurious items are meant to be used rather than stored out of harm’s way. 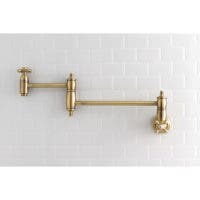 The carefully machined lever handles add to the aura of this wall mounted bathroom faucet. About the Product: The striking design of this faucet is intended to catch the eyes of your guests. Attached to the wall behind your sink, the horizontal pop adds a stunning element to your bathroom design. Clean-up is made a breeze as counter space is cleared up for a minimalist appearance. 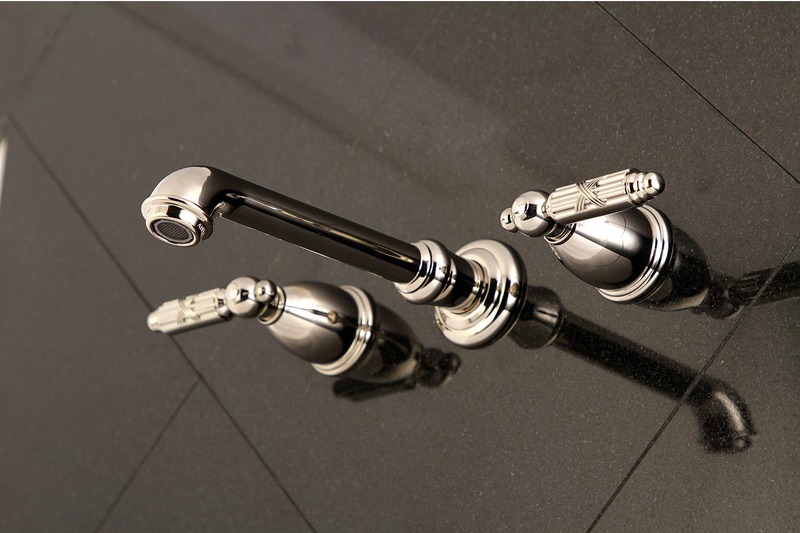 The Georgian 8-Inch Center Wall Mount Bathroom Faucet and its featured premium polished nickel finish are guaranteed to glamorize your home’s traditional ensemble for years. Complete your European sanctuary with the help of this elegant piece and enjoy its durable quality for decades to come.